Strategic investors offer a dizzying array of benefits to food and beverage entrepreneurs. They also present unique risks not often found from typical angel or venture investors. Entrepreneurs considering taking investment from such strategics should spend the time to fully understand what it is like to partner with the proverbial 800 lb gorilla*. A landslide of new capital and new opportunities are available to growth-stage companies. According to CB Insights, global corporate venture capital activity climbed in 2017 to 1,791 deals with $31.2 billion in capital invested across all sectors. The number of venturing groups also tripled from 61 in 2013 to 186 in 2017. In the food and beverage sector, more than 40 of the world’s largest brands now operate or participate in a venturing unit to look at early stage minority investments. Brands must understand that unlike traditional angels, VCs or private equity shops, strategic investors are not focused on building equity value at the portfolio company level. Instead, they are built to execute on the strategic priorities of their corporate parent. Strategics invest in small brands for a variety of reasons, including: replacing or supplementing internal innovation; reducing the risk and costs of new brand creation; expanding their footprint into new channels; obtaining better understanding of new customers; and sometimes in an outright hedge against the decline or obsolescence of their core brands. Corporate venturing units therefore come in a blend of flavors, some more focused on financial performance of the portfolio, and others on supporting their corporate strategic objectives. Some are structured as independent funds, and others as part of the existing corporate development efforts. The more a venturing unit is structured and acts like a “financial” investor, the more predictable their behavior. Correspondingly, they are less likely to get into earlier or higher risk deals that might be approved on a strategic basis. This scenario often plays out even during the deal phase, when fund-like investing units typically process and document deals much more rapidly. Strategic investment obviously offers cash, but what else does the entrepreneur gain in this partnership? Depending upon the deal (and whether it becomes public), the brand may earn market legitimacy (even though the consumer response may be more varied when an independent brand is now deemed to have “sold out” or become “part of an empire”). Smaller brands that become affiliated with larger corporations grapple with fearing the loss of perceived authenticity about the core values of their brand. When strategic investors have more than financial objectives, brands also may get attention earlier in their development and may receive higher valuations, looser deal terms and operational controls, less pressure to put additional investment dollars to work, and less pressure to find a high value exit and promises of product and market support. Brands may be able to work with their strategic investor on product development, distribution, scale-up, manufacturing improvements, sourcing, regulatory compliance and other kinds of issues where the strategic partner has vast skills, data, and access. Such tasty morsels come with some hidden concerns. Strategic partners can alter entrepreneurs’ priorities, such as markets and customers targeted as well as products developed. Many strategic investors require restrictions on working with competitors. Leakage of core intellectual property or confidential information is another fear, which can be further exacerbated when a representative of the strategic may become a member of the company’s board of directors or a board observer. Even before a deal is done, many entrepreneurs worry that strategic venturing units will feign interest, solely to “peek under the hood” and digest a new brand’s intellectual property or confidential information. Additionally, brands often underappreciate corporate turnover. They view the individuals at the strategic with whom they are negotiating as synonymous with the institution. Unlike venture capital, where partners rarely change during the course of a fund, the average lifespan of people in corporate venturing roles, and in some cases the life of the venture unit itself, can be exceedingly short. It is critical for a brand to become an institutional priority of the strategic investor at multiple levels rather than rely on their initial relationships. The biggest coin-flip of the risk/reward analysis is the opportunity for acquisition. Many strategic investments come with the right of the strategic investor to have a right of “first offer,” “first refusal” or “first look”. Many more come with outright “calls”, whereby they can purchase the remainder of a portfolio company in the future. If there is a call, but there is no corresponding “put” right (when the company can force a sale to the strategic investor), entrepreneurs should think seriously about what happens if the investor does not in fact exercise their call rights. The presence of the strategic investor and their lack of interest in purchasing the company can act as a huge signal to the market that there is something wrong with the company or that it is not worth purchasing. In addition, the presence of the strategic investor by itself will often chill bidders from showing up when they know (or at least believe) that the strategic can swoop in and take the deal. In other cases, the presence of a strategic investor will mean that their direct competitors will refuse to bid upon the deal under any circumstances. If entrepreneurs do not have the ability to consummate the “marriage” through a put or some other mechanism, they should think carefully about mechanisms to force a “divorce” through mechanisms like “drag-alongs”, redemptions or “bargain buy-backs”. While the level of complexity and risks are important to weigh, taking strategic investment from multinational food and beverage companies offers some powerful tools and opportunities to entrepreneurs looking to grow and scale their businesses. *As most people know, where does an 800 lb gorilla sit? Anywhere it wants. Make sure the contract says it’s not on you. 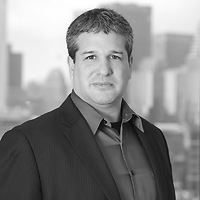 Jeremy Halpern is a partner, co-chair of the Food and Beverage Group and co-chair of the Emerging Companies Group at Nutter McClennen & Fish LLP. Jeremy’s practice focuses on emerging companies, private equity, venture capital and angel financing transactions, mergers and acquisitions, executive and team compensation matters, commercial transactions, and general start-up support for high growth companies in technology, life sciences and the food and beverage industry.